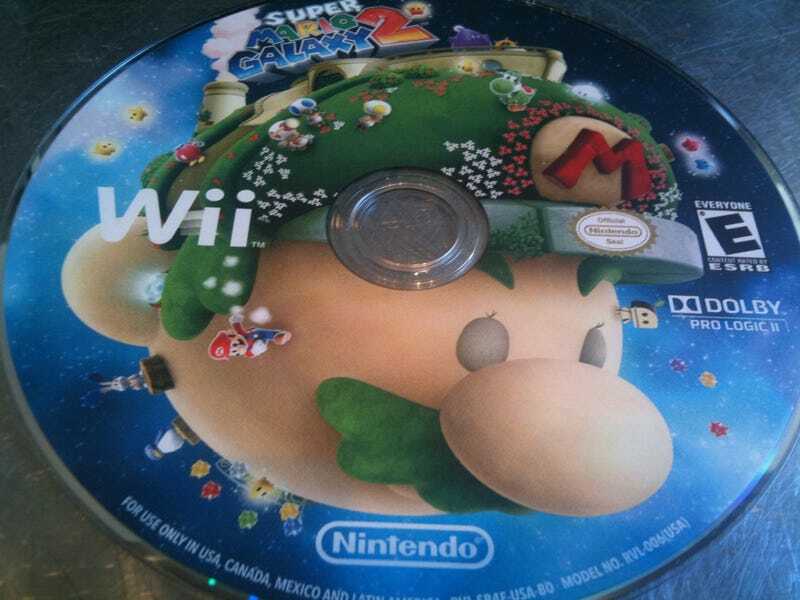 This is the Super Mario Galaxy 2 game disc. It sure looks nice. Click the image to enlarge it, which will make it look even nicer.